Remember when Vanderpump Rules kind of revolved around the crazy antics of Kristen Doute being obsessed with her ex? No, I’m not talking about her current obsession with James Kennedy. I am referring to her former (?) obsession with Tom Sandoval. She made the life of Ariana Madix, Tom, and even her friends a living hell. I fondly recall her uttering borderline insane things like, wishing Ariana would get hit by a Mack truck (but not die, just become horribly maimed). After Jax Taylor word on the street told her Tom had been unfaithful to Ariana on a boys’ trip to Miami, she stalked located a random female with some unfortunate facial fillers and brought her to SUR to have a face to face showdown with Tom. At one point she even cornered a grieving Ariana at SUR and called her the c-word, and those are the things on the low end of Kristen’s psychosis. But time heals all wounds, I guess. Though in proper society, you don’t come back from some of those things. Fortunately for most of the cast, Kristen has gone on to terrorize other people in her life. Tom and Ariana seem to have forgiven Kristen for her personal attacks, insane displays of emotion, and drunken hysterics. Now we are witnessing the birth of a brand new relationship, Kristen and Ariana’s friendship. Without context, it seems rather…odd. And that’s putting it nicely. But how did any of this go down? Was it all a dream? Did we just imagine Krazy Kritter’s 19 personalities wreaking havoc on society? Ariana shared the scoop on how such an unlikely duo joined forces and became “friends”. Lisa Vanderpump is the ultimate businesswoman and multi-tasker. She juggles animal activism, her dog rescue, running multiple restaurants, and filming TV shows with ease. And don’t forget all that spare time she has for scheming and manipulation! Her restaurant empire is slowly taking over the streets of West Hollywood. Even though Nene Leakes wanted to get there first. This season of Vanderpump Rules debuted Lisa’s latest restaurant venture, TomTom. And things must be going quite well because she is looking to expand the TomTom brand. In the column of things I never thought I would say, Vanderpump Rules star Lala Kent’s biological clock is ticking. And she wants to be a mom sooner rather than later. Is she sure that’s not just her internal rage ticking away? Waiting for the moment when someone makes a statement that has her flying off the handle at work. Vanderpump Rules star Lala Kent has been turned up to eleven all season long. You’d think she would be happy now that she’s an honorary member of the Witches of WeHo. But instead, she’s had one meltdown after the other. And her wrath has been targeted at her former best friend, James Kennedy. Lala and James used to be inseparable. They genuinely supported each other in their friendship and artistic endeavors. James even kickstarted Lala’s non-existent career as a singer. But times have changed. Now Lala has a non-existent career as an actress. Just don’t say her fiancé Randall Emmett got her there. So, does Lala still support James and his career? 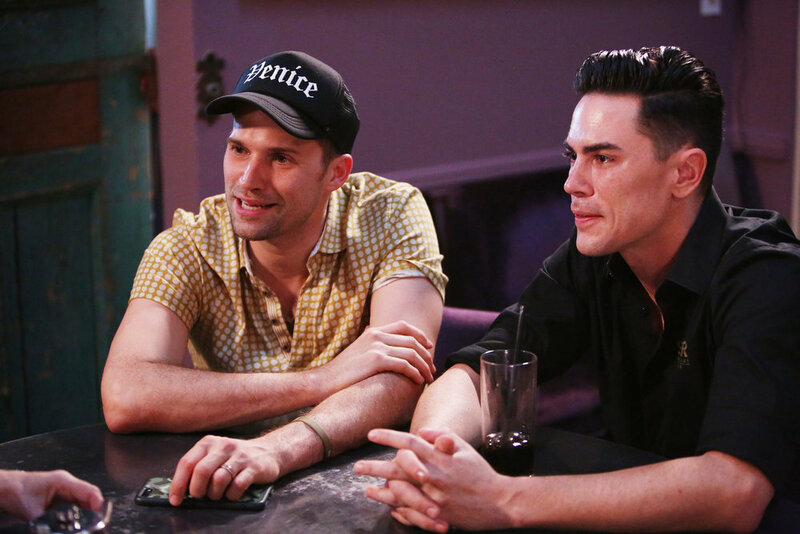 Last night’s Vanderpump Rules was all about redemption. In a Hollywood kinda way. Stassi Schroeder is in peril. After years of having bad boyfriends and being able to blame, project and justify her own bad behavior as their fault for having worse behavior, she is now dating the man of her dreams and needs a bad girlfriend detox. Enter Beau Clark: someone who does everything Stassi demands of him, entertains her endlessly, cedes to her tantrums, and accepts that even when Stassi is wearing a mini skirt, she wears the pants. Basically she’s a queen dating the court jester. But winter is coming and that winter is Stassi’s demand for unwavering sycophancy and the lashing of her evil tongue when Beau doesn’t capitulate. Last time it ended in eczema and tears, but what if someday Beau decides he can no longer take being a battered boyfriend, aka the future subject of a Lifetime Movie? They could very easily change the name of Vanderpump Rules to Everybody Hates James. Oh, just kidding, the cast doesn’t want him to get any more attention than he already does. Ironically, the constant James Kennedy bashing just gets him more attention. After getting disinvited from the cast trip to Mexico, James and his girlfriend Raquel Leviss invited cast members to a puppy pawty. Yes, that’s actually how they spelled it. It was actually a puppy shower, for a dog that’s already been born. Jax Taylor and Brittany Cartwright rejected Raquel’s invite to her face. And it was so awkward. Poor Raquel. No one wants to film with her go to her party. Tonight Vanderpump Rules returns and even though winter no one is coming, Raquel Leviss goes ahead with hosting a puppy shower for James Kennedy‘s sad puppy dog eyes. Just kidding – it’s actually for their dog, Graham. God this show is getting so asinine. 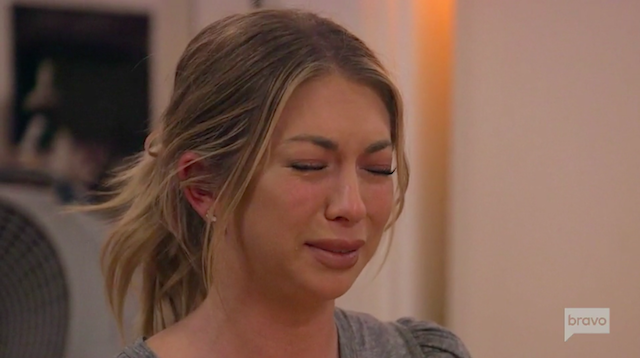 I mean… the plotline for tonight includes a puppy shower for the C-Team, then Stassi Schroeder getting a bad girlfriend exorcism from a witch who’s less WeHo and more Wiccan. Katie Maloney joins Stassi in this and since Katie doesn’t believe she needs any self-improvement in any way, you know this is some BS nonsense! Everyone knows that Vanderpump Rules star Tom Sandoval has a soft spot for James Kennedy. When everyone goes after James, Tom flies in like a superhero to defend him. He even called out his best friend’s wife, Katie Maloney, for her treatment of James. And unless you are a Katie fan, that was one of the true highlights of the season. The rest of the Pump Rules crew wants nothing to do with James or anyone else around him. Jame’s girlfriend, Raquel Leviss, got the cold shoulder when no one wanted to go to her puppy shower. Even Brittany Cartwright, patron saint of SUR, wouldn’t invite Billie Lee to her engagement party just because she is friends with James. Luckily for James, Tom and Tom Schwartz aren’t as petty.